Amazon Expands Grocery Delivery from Whole Foods Amazon Prime users can now enjoy grocery delivery through Whole Foods in nine new locations: Asheville, Charlottesville, Columbia, Lexington, Little Rock, Manchester, Mobile, Naples and Savannah. "Prime Now delivery and pickup continues to be a hit with our customers and we're excited to introduce the service to even more Prime members across the country," said Christina Minardi, Whole Foods Market Executive Vice President of Operations. "It's just another way we're making it even easier for more customers to enjoy Whole Foods Market's healthy and organic food." Amazon Prime users can now enjoy grocery delivery through Whole Foods in nine new locations: Asheville, Charlottesville, Columbia, Lexington, Little Rock, Manchester, Mobile, Naples and Savannah. 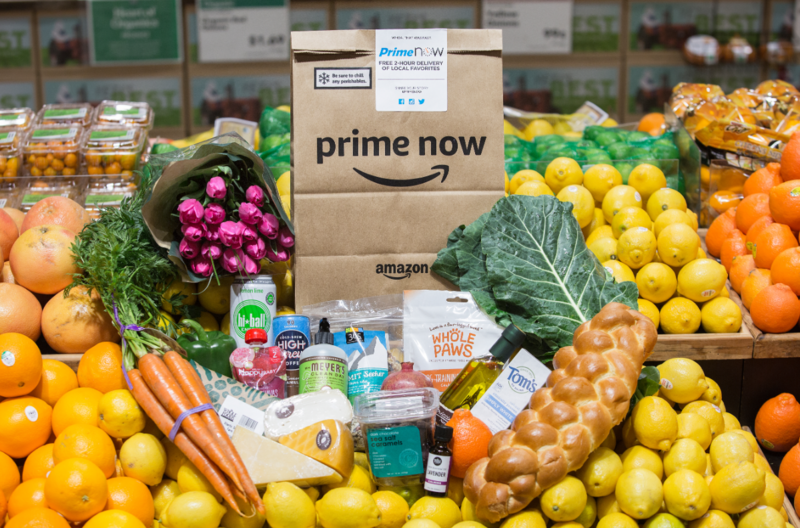 "Prime Now delivery and pickup continues to be a hit with our customers and we're excited to introduce the service to even more Prime members across the country," said Christina Minardi, Whole Foods Market Executive Vice President of Operations. "It's just another way we're making it even easier for more customers to enjoy Whole Foods Market's healthy and organic food."